Everest Base Camp is a gem of a place to trek to. It has a wonderful combination of scenic mountains, beautiful villages, and well-maintained trekking trails. But, in order to trek to this place, you need to list all the things that you need to pack. 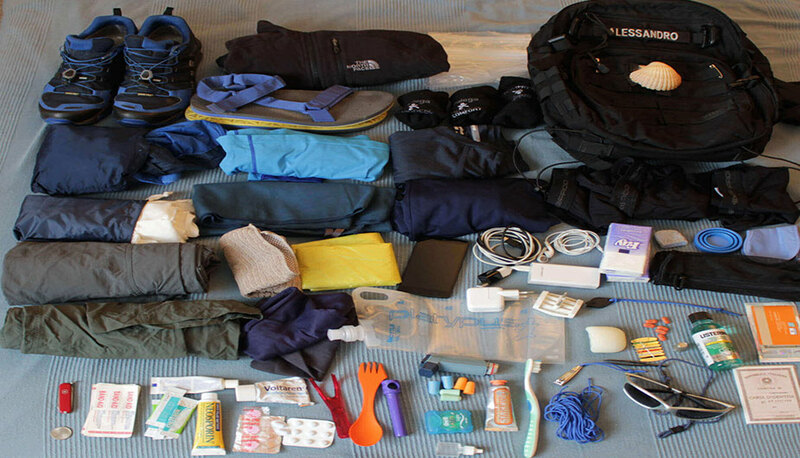 Some items in the packing list for Everest Base Camp depends upon the time you want to travel. You might have to pack items differently if you are planning to come to EBC in the monsoon season compared to the winter season. You won’t have to buy all the items on your packing list. You can also rent these items. There are two ideal destinations in Nepal to rent these items- Thamel and Namche Bazaar. But there is a catch. While renting these items, you run the risk of buying cheaper, unreliable clothing that might not save you from the cold of the Everest Base Camp. This article will give you a comprehensive list of things that you need to pack for the Everest Base Camp trek. This list will be a guide for all people across all seasons. You will gain a lot of altitude during the Everest Base Camp trek. Apart from the classic Jiri to Everest Base Camp trek, all the EBC treks start from Lukla, which has an altitude of 2800 meters. The highest point along your trek is Kala Patthar, located at an altitude of 5555 meters. The Jiri to Everest Base Camp trek starts from an altitude of 1905 meters. In this trek, you will gain an altitude of around 3600 meters. With so much variation in altitude of the places, there is a great variation in the temperature of the places as well. Therefore, you will need to have multi-layered clothing while trekking to Everest Base Camp. Multi-layered clothing allows you to put one layer of clothes on top of the other. This gives you the freedom to add on layers of clothing as it gets cold and take off clothing as it gets hot. Now, let us look at the various layers of clothing you need to have while trekking to the Everest Base Camp. 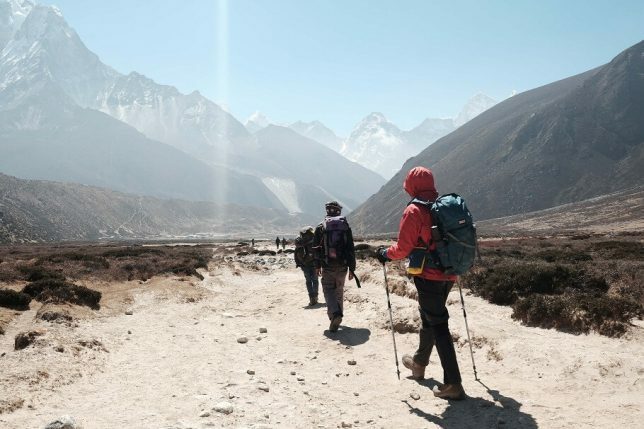 On your way to Everest Base Camp, you will be trekking for 3-7 hours every day. While trekking for such a long period of time, you might accumulate a lot of sweat. So, you need to carry breathable underwear. Typically an underwear will be good to use for 3 days. After that, your underwear might start smelling. As you will trek for almost 2 weeks to complete the EBC trek, you will need 3-5 breathable underwears. Base Layer comes handy during the colder parts of your trek. You probably won’t use the Base Layer of clothing during the earlier and later parts of your trek. The Base layer is quite tight to the skin which helps to reduce the airflow. It also consists of high wicking material allowing moisture to escape. 2 top and 1 bottom Baselayer will be enough for you. The layer of clothing that you wear outside the Base Layer is insulation layer. The best insulation layer clothing is made from fleece or micro-fleece material. Although the insulation layer for torso, as well as the legs, is available in the market, an insulation layer for only your torso will be good. The third or the outermost layer is the most important layer of clothing for trekking in high altitudes. It consists of warm and waterproof jackets and trousers. The third layer is often the costliest of all layers of clothing. But it is the layer of clothing that lasts the longest as well. Therefore, you should invest wisely in this third layer of clothing as a long-term investment. Trekking trousers and shorts are items that will be necessary for you, especially for the parts of the trek where the altitude is low. One pair of trekking trousers and a pair of trekking shorts will be perfect for you. Another important piece of clothing that you will wear on a daily basis is trekking shirts. When you put your trekking shirts on, make sure that you have a combination of long and short sleeved shirts. You must avoid cotton shirts as they absorb sweat quite easily and results in bad odor. Breathable, lightweight shirts that help wicking sweat away will be ideal. Nylon, merino or quick-drying polyester will be a perfect choice for the fabric of the trekking shirts. You should carry a total of 4-5 trekking shirts. If you are looking to trek to Everest Base Camp during the summer season, you’re likely to encounter rain. This is due to the fact that the summer season coincides with the monsoon. In addition, there is a small likelihood of rain even in other seasons like spring and autumn. Therefore, you need to get one pair of waterproof shell jacket and trousers. A hat is a good way to keep the heat of the sun beating down on your face during the trek. Make sure that you check whether the hat offers protection to your neck as well. You should always opt for hats that are lightweight and easy to pack. 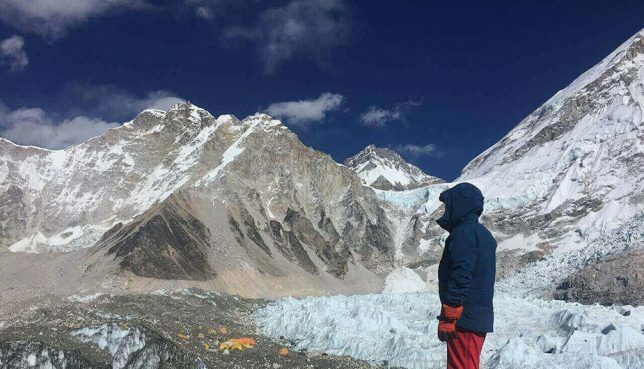 When you get close to the higher points along your trek such as Everest Base Camp or Kala Pathar, it will get extremely cold in the mornings, late afternoons or evenings. So, you should get a good beanie or headband to protect your head and ears. Covering the neck and face are available in various forms. You can either use a scarf, balaclava or a buff. They will help keep your neck insulated and keep the cold away. A buff is also a very good way to ensure any unwanted particles don’t enter your mouth. You should use two type of gloves- inner gloves as well as outer gloves. Inner-gloves are next to your skin. You should look for gloves that are made from fleece and which dry quickly. After you put on the inner-gloves, you also need to put on outer insulated gloves. Your outer gloves must keep your palms and fingers warm and durable. If you are looking to do the Everest Base Camp trek with Island Peak, your gloves must be super well-insulated. If only you carry decent footwear along your trek will you be able to enjoy all the perks of trekking? You must try at least a couple of treks before landing your footwear at the Everest Base Camp. 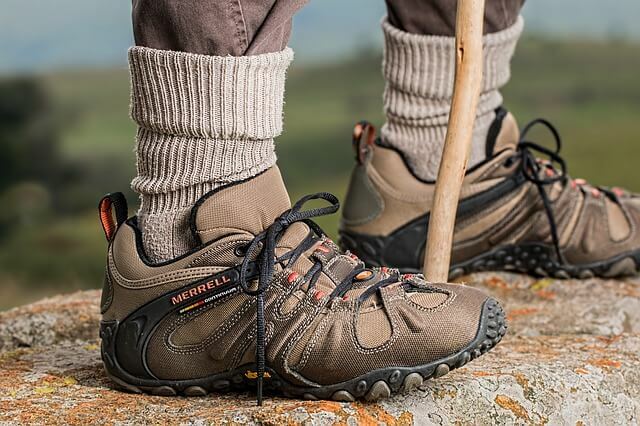 There are a few things that you need to consider while buying a pair of hiking boots. They need to offer good ankle support, have waterproof uppers, are comfortable and fit properly. Also, make sure that you can tie/untie the laces of the boots properly. After completing your trek on a given day, you might want to take a stroll around the teahouse or hotel you are staying in. In such cases, trekking shoes and sandals will come handy. Cotton might not be an ideal choice for hiking shoes as they don’t help to wick any form of moisture. Your hiking socks need to be breathable. 4-6 pair of hiking socks will be perfect for the EBC trek. 1 pair of warm thermal socks will be enough for you. Thermal socks are slightly warmer than the normal hiking socks. They will be necessary for places with cold climatic conditions such as the Everest Base Camp. If you are on a journey to the Everest Base Camp and have a porter to carry your item, a 80-90 liter duffel bag is an ideal choice. The best duffel bags are made up of waterproof materials and have sturdy zippers. Good duffel bags also have hand and shoulder straps that are easy to access. If you don’t hire a porter for your trek, a 50-60 liter backpack should be the one you should opt for. Make sure that the backpack has an opening at the top that helps you access the frequently needed items with ease. Even if you have the luxury of a porter, a daypack is an absolute must. 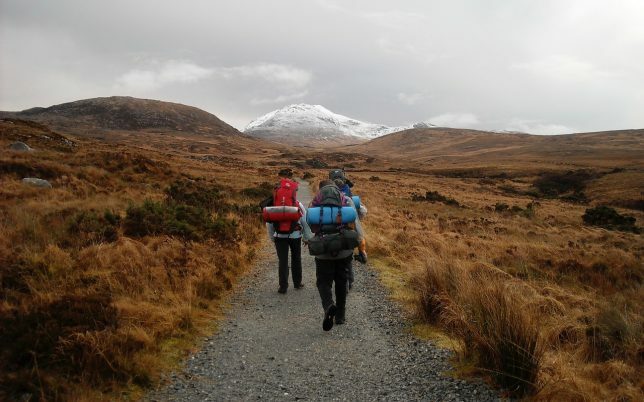 A daypack will help you store all the items that you will need regularly during the trek. You might want to carry some light snacks, camera, rain gear and similar items in your daypack. A warm sleeping bag is indispensable. It can get extremely cold during the night. If you are trekking to EBC during the winter season, the temperature can be as low as -20°C. Good sleeping bags are mummy-shaped, have an insulated hood and two-way zippers. You can also get a sleeping bag liner that provides you extra insulation. A towel for your treks to dry your body after cleaning up is necessary. There are excellent facilities of toilets along the EBC trek. But as you trek higher up, the toilets get more basic. In addition, you might also struggle with going outside for peeing as the climate is cold. So, a pee funnel or bottle will do the trick for you. The scenery of the mountains, places, villages, and people along the trek are mesmerizing. You might want to carry a camera to document your experience along the way. Charging in the teahouses of EBC trek can be expensive. So, carry a portable battery charger to avoid queuing up along the charging ports and paying 2-4 $ per hour for charging. If you want to drink pure water in Nepal, one way of doing that is buying bottled water. But, this only adds to the problem of waste management in the Everest Base Camp region. Getting water purification tablets will help you purify impure water that you might encounter along the trek. Diamox is a medication that can serve as a preventative solution to Acute Mountain Sickness. You should only use it after the prescription from a doctor. It cannot help cure altitude sickness but might help to prevent its onset. You should carry paracetamol for headaches and Imodium for diarrhoea. You should also carry your basic first aid kit in case of cuts and bruises. In the list of other personal items, you might want to carry sunscreen, baby wipes, hand sanitizer and blister plasters. Trekking poles provide a lot of comfort during your trek by reducing the pressure in your knees and back. And during wet trekking conditions, trekking poles are even more important. You should get lightweight and adjustable trekking poles during your trip. When you go trekking in high altitudes, UV rays are constant threats to your eyes. Therefore, you need to get sunglasses that offer you 100% UV protection and 80% light reduction. You won’t always need headlights during your trek. But when you are planning for setting off to your trek early in the morning, you will need a headlight. Headlights will also be useful if you want to stroll around the surrounding areas of your lodge/ teahouse after a long day of the trek. Trekking to Everest Base Camp is an experience that will enrich your travel as well as build up strength, courage, and determination. But, in order to complete this trek, you will have to pack smartly. Make sure that you double check all the items that I mentioned in the packing list to the Everest Base Camp.